Another weekend is upon us. As usual, there will be more than enough sporting events from which you can make some extra cash. Teams set to feature in the UCL and Europa League next week will be in action. Several other games will be played between Friday and Sunday. The action is even expected to spill over into Monday. We know you’re already searching out games to put your money on this weekend. And we know how hard it is to find those profitable games during weekends. Good luck with trying to sort out over 1000 weekend football games. 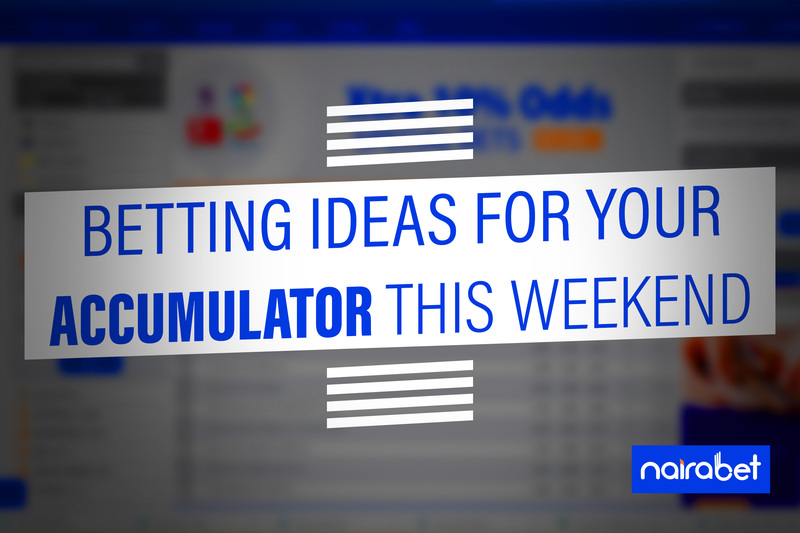 To make things easier for you, we thought to share some helpful betting ideas for your accumulator bet this weekend. 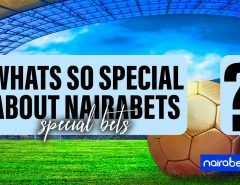 If you do not have a NairaBET account, click here now to INSTANTLY register and fund it to earn some extra cash this weekend. Both sides failed to pick up the maximum points in their last Serie A outing. But Parma pulled off the biggest surprise of Round 22, coming from a 3-1 deficit to hold Juve to a draw. That was the first time Parma scored three goals in a Serie A game since October. Inter, on the other hand, lost to Bologna. That was their third loss in a row. And they will be looking to avoid a fourth defeat. Both sides will be fired up for this game. Do you think both teams will score? Asides being a derby, it’s second versus third in La Liga this weekend. And one major thing bettors should look out for is Atleti’s superb defense. They’ve conceded the least goals in the league, with an average of just 0.64 goals per game. Real Madrid has seen a resurgence in their form of late. 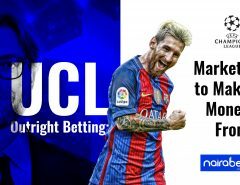 They’ve not lost a game in six, including holding Barcelona to a 1-1 draw at the Nou Camp. Six of their last seven matches have finished with Under 2,5 Goals. 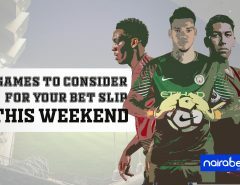 Do you think the trend will continue this weekend? The new table-toppers in the Premier League welcome Chelsea to the Etihad Stadium. Both sides have a lot riding on this game. For City, it’s all about staying as close as possible to Liverpool. For the London Blues, securing a top-four spot is the key. Maurizio Sarri’s side will have to find a way past a defense that has conceded only once in their last five home games. Another headache for Chelsea to worry about is City’s rampant home form. They’ve scored an average of five goals per game in their last five games. Chelsea has lost their last three away Premier League games on the bounce, without scoring a goal. Will Manchester City make it four losses out of four? Click here to put your money where your mouth is and win big. Which of these three games do you fancy for your accumulator this weekend? Let us know by dropping your comments in the comments section.